'De Burgh Pair House series, Number 3' by Katie Hayne, 2017. Oil on board 27.5cm x 35cm. An exhibition of works by Phil Page and Katie Hayne that investigate the changes in Canberra’s urban landscape. Some works show the layers of change concurrently, others focus almost lyrically on what has gone or remains, and others incorporate what might have been. The paintings of Phil Page and Katie Hayne capture the complexities of a tension between the familiar and the unfamiliar as our urban environments are in flux. 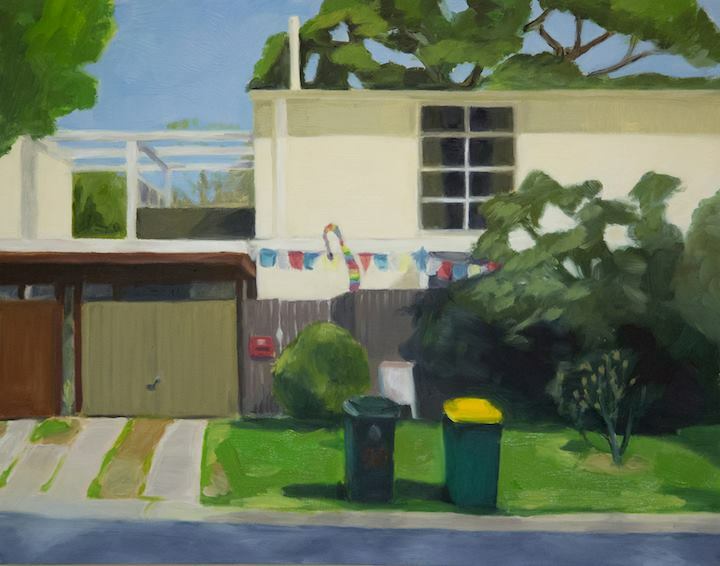 Their paintings in this exhibition complement each other to provide a rich snapshot of Canberra’s built environment past, present and perhaps future.